The Rolling Stones announced today they will play thirteen shows in twelve different venues across Europe in September and October, and unveiled the title of the new tour. 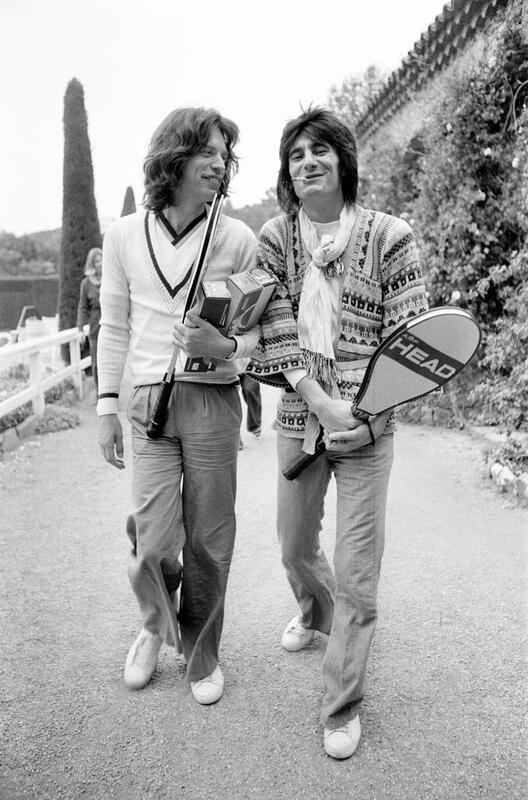 STONES – NO FILTER sees Mick Jagger, Keith Richards, Charlie Watts and Ronnie Wood back where they belong out on the road playing to packed stadiums. This STONES – NO FILTER European tour follows last year’s ground-breaking tour of South America culminating in the historical concert in Havana, Cuba. As always, the Rolling Stones will treat their European fans to a set list packed full of classics such as ‘Gimme Shelter’, ‘Paint It Black’, ‘Jumpin Jack Flash’, ‘Tumbling Dice’ and ‘Brown Sugar’, but they will also include a couple of unexpected tracks each night, and randomly selected surprises from their formidable arsenal of songs. For all of the European No Filter shows listed below the Stones will be unveiling a spectacular new production and state of the art stage design. The tour, produced by Concerts West, kicks off at the Stadtpark in Hamburg on Saturday September 9, and then heads for Munich (Germany), Spielberg (Austria), Zurich (Switzerland), Lucca (Italy) Barcelona (Spain), Amsterdam (Holland), Copenhagen (Denmark), Dusseldorf (Germany), Stockholm (Sweden), Arnhem (Holland) and rounds up with two shows in Paris (France), at the brand new U Arena, the first concerts to be staged at this venue. * The Rolling Stones concerts in Amsterdam, Copenhagen, Dusseldorf, Stockholm, Arnhem and Paris will be under cover with a roof facility at each stadium. Over the past twelve months the Rolling Stones have been on top of their game with the release of the formidable ‘Blue & Lonesome’ album a return to their blues roots. This hugely successful album recorded in three days topped the charts in fifteen countries. They also produced a critically acclaimed documentary film ‘Olé Olé Olé!, – a trip across South America’, directed by Paul Dugdale. This film has just been released on DVD internationally by Eagle Rock. The Stadtpark a city park in the heart of Hamburg. This open green space was last used for a major live music concert in 1989. Spielberg at Red Bull Ringis an open-air space next to the Formula One race track which was the home of the Austrian Grand Prix for almost two decades. Lucca City Wall is a major historical site in the Tuscany region of Italy. The beautiful medieval city, which recently celebrated its 500th anniversary, has never been used before for a major live music event. Amsterdam ArenA is Holland’s largest stadium and home to AJAX FC, where The Rolling Stones will play the first closed-roof concert of the tour. U Arena, a brand-new venue in the French capital and home of Paris’ Racing 92 Rugby Club. The Stones – No Filter will be the very first show at the newly built arena.